We are all about confidence at We Are Auburn, and the workplace is just one of the places we want you to shine. But even the most accomplished business women can use a little help here and there – and pretty much everyone will still get nervous before an interview. With recent research quoted on Business Insider suggesting the average job seeker sends off a staggering 27 job applications and gets just one interview request, ensuring you sell yourself at interview is absolutely key. So, here’s the scene: you’ve answered their questions, you’ve maintained eye contact and you’ve even managed to lighten the mood a little with a couple of well-placed jokes. The job interview is winding to a close – and you’re inwardly congratulating yourself for surviving (and maybe even thriving) throughout it. But, just before you give yourself an imaginary pat on the back and breathe a sigh of relief, it’s not over yet. Many of us spend so much time agonising over what questions we might be required to answer, we forget to consider what to ask back. No matter how invested you are in getting the job, having nothing insightful to ask at the end will make it seem like you haven’t considered the role seriously – instantly undoing all our good work. So before, your next one, swot up on some of our personal favourites below and commit a few to memory, so you’ll never be caught out. From our personal go-tos to things we’ve been asked by others at interview (and secretly committed to memory), we’ve also consulted a career coach and business psychologist on what she recommends. What are your plans for the next few years, and how will my role fit into them? This is a great way to find out what’s on the agenda for a company, and to get a greater impression of what part you can play in it. What’s more, you’ll show your potential employer you’re looking at the bigger picture – and hoping to be a long-term part of it. It’s also a great opportunity to show interest in and put yourself forward for other projects, should they choose to offer you the job. This shows you have an awareness that all organisations – and all roles – will face their fair share of issues, and that even a dream job has its problems. It’s also a good way for you to put your potential employer in the hotseat for a few minutes and dig a little deeper into what challenges the company is currently addressing. What is the most exciting career development opportunity you have experienced here, and what did you learn from it? It’s all too easy for someone to say there is plenty of scope for promotion, but actions speak far louder than words. Career coach and business psychologist Allison Lindsay, who has worked in business psychology, employee engagement, branding and organisational culture, favours questions which put the spotlight on your interviewer’s own career path, or a company’s culture – to “get under the skin of an organisation”. 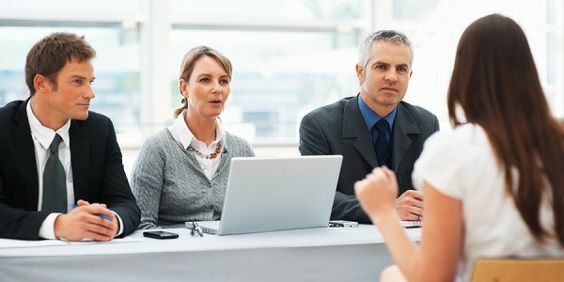 Finding out more about your interviewer’s career path can shed light on potential roles for you in the future, while also giving you the opportunity to sound out whether a company’s claims of meritocracy or regular reviews are true or not. How would you describe your team culture and could you give me some examples to demonstrate how you live it? A role may sound fantastic, but if the company culture isn’t aligned with your own values, you may experience some dissonance working there. Culture can mean many things, from regular drinks on a Thursday night to a pervasive expectation of working on weekends and constantly needing to be ‘available’. Allison recommends you ask this question and scope out the response – what they choose to focus on could hold clues about what will be expected of you. Who will I be working most closely with? This question will yield a lot of useful information: how the teams work (and how large they are), what your day-to-day working life may look like, and what the core parts of the role will be for you. You may even find that the person who is leaving the role you’ve applied for is part of the interviewing panel – so take this opportunity to really delve into what a typical day looks like for them right now and, potentially, for you in the future.